Quality products, competitive prices, and great service defines Trachsel Dental. TDS is a FULL SERVICE lab with everything from denture repairs to on-site milling. "Trachsel Dental’s most popular restoration since 2010!" 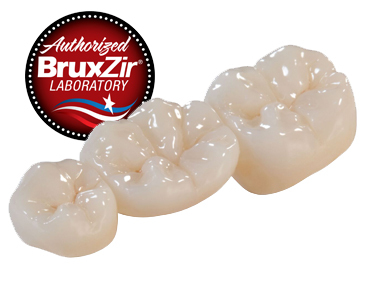 What is BruxZir Solid Zirconia? 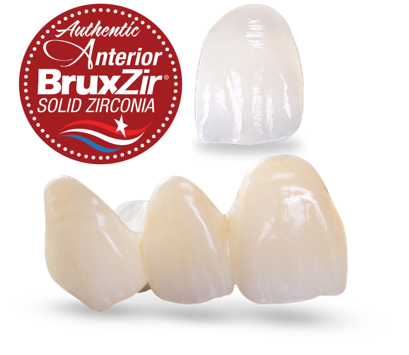 BruxZir Solid Zirconia is the #1 prescribed brand of full-contour zirconia in North America. 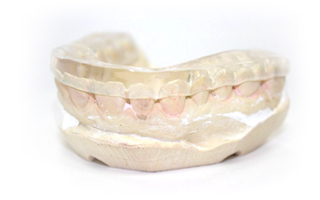 Providing a stronger and more durable cementable solution, BruxZir restorations can be used in almost any clinical situation and are an esthetic alternative to cast gold and metal occlusal PFMs. 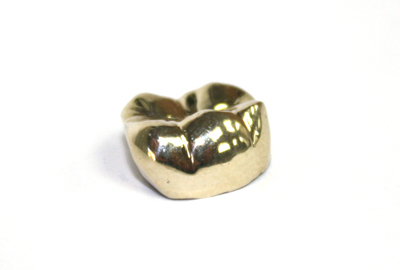 BruxZir is completely chip-proof, as it is made of solid zirconia with no porcelain overlay. As a result, this monolithic material is extremely durable. 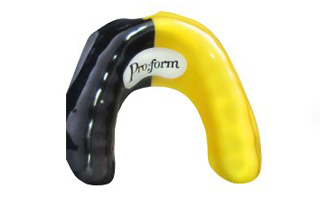 The glazed smooth surface of the final BruxZir restoration prevents plaque buildup and opposing dentition wear. Shoulder preparation not needed, feather edge is OK. It is a conservative preparation similar to full-cast gold, so any preparation with at least 0.5 mm of occlusal space is accepted. 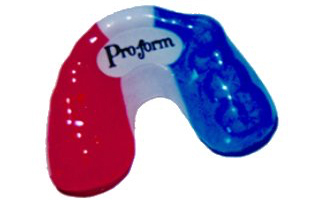 Minimum occlusal reduction of 0.5 mm; 1 mm is ideal. Ceramir Crown & Bridge or a resin-reinforced glass ionomer cement such as RelyX™Luting Cement (3M ESPE; St. Paul, Minn.) or GC FujiPlus™ (GC America; Alsip; Ill.) For short or over-tapered preparations, use a resin cement such as RelyX™ Unicem (3M ESPE) or Panavia™ F2.0 (Kuraray; New York, N.Y.). Trachsel Dental Studio has seen excellent results for over two years with this product! The new CubeX material combines the known positive properties of zirconia with a significant increase in translucency (49% translucency) making it ideal for anterior and posterior applications up to 3-unit bridgework in all tooth positions. Highly biocompatible, CubeX is the ideal restorative material for today’s dentistry offering the translucency of a lithium disilicate while retaining the strength of zirconia at 720MPa. Unlike current glass ceramics, CubeX allows for a conservative feather edge preparation due to its high strength. Dentists no longer have to choose between traditional zirconia and lithium disilicate... CubeX has both strength and beauty! Cubex requires less tooth preparation than lithium disilicate (e.max). Ideally 0.8mm chamfer or rounded shoulder prep is preferred, however a feather-edge margin is acceptable with 1.0 – 1.5mm occlusal reduction. Ceramir Crown & Bridge or a resin-reinforced glass ionomer cement such as RelyX Luting Cement (3M ESPE) or GC Fuji Plus (GC America) for short over-tapered preparations, use a resin cement such as RelyX Unicem (3M ESPE) or Panavia F2.0 (Kuraray). "A highly esthetic milled CAD/CAM option!" 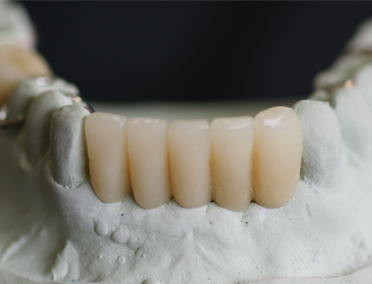 IPS e.max Press is a versatile and proven lithium disilicate glass-ceramic (LS2) for the press technique. The materials offers excellent fit, function and esthetics combined with high strength The ingots are not only very attractive, but also exceptionally user-friendly. They come in a wide range of shades and translucency levels for utmost flexibility. 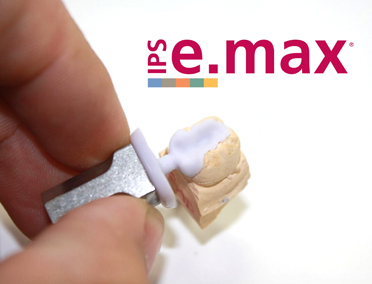 IPS e.max® Press can be used to fabricate restorations which preserve as much of the natural tooth structure as possible, such as inlays, onlays, table tops ("occlusal veneers") and Thin Veneers. The range of indications of course also includes crowns, bridges for the anterior and premolar region as well as implant superstructures. Single units, up to three unit bridges. "Capable of blocking dark preps!" 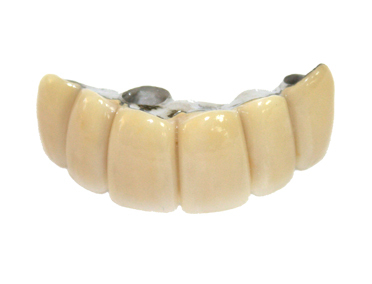 Zirconia frameworks and bridges are designed and milled in house, using CAD/CAM technology. Creating precision fit margins and strength within each restoration. 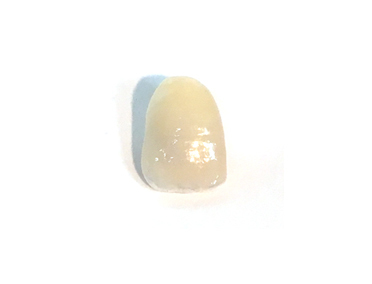 After the Zirconia substructure is sintered for 6.5 hours at 1,530 degrees Celsius the units will be hand layered with porcelain to achieve the requested shade. They are an excellent restoration option for patients with metal concerns. Single units, crowns & bridges. The ideal preparation for PFMs is a chamfer margin preparation. If a porcelain labial margin is prescribed, then a shoulder margin preparation is required. If an adjustment is needed on the ceramic, use a fine diamond with water and air to keep the crown cool. To contour the ceramic, polish with a pink rubber wheel and diamond polishing paste (Brasseler, Shofu, Vident). "Biocompatible, long lasting, superior strength!" Check out Fred's Hot Tips! Dr.’s choice of impression material. 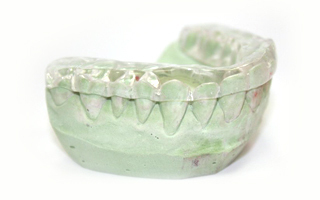 For partial dentures and immediate dentures we recommend alginate impressions. Stock perforated metal trays for all impressions we have found to work best! We like Ivocap Injections and Lucitone 199. If you have a preference please make note on Rx. 6 days - rush cases available upon request. 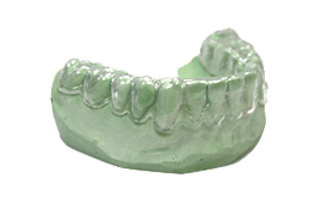 Trachsel Dental offers a full range of orthodontic appliances. Brian Trachsel, owner of Trachsel Dental Studio and Certified Dental Technician of 31 years welcomes any consultative services at no additional charge. To learn more about our Orthodontic solutions, click on the product below. "A custom fit that blows away the competition"
Case planning always available with Brian Trachsel, CDT and Trachsel Dental Studio owner. Call 507-288-2362 or 1-800-831-2362 case estimates are also available. "A modern approach to straightening teeth"
Available in full titanium, titanium gold hue, full zirconia, zirconia hybrid (titanium base). 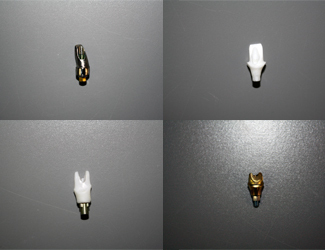 TDS custom abutments are designed using 3Shape CAD software. 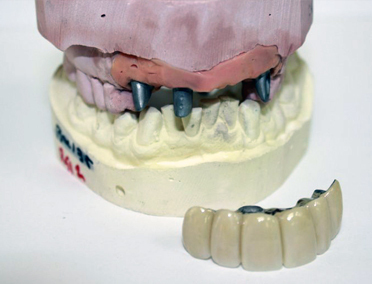 Screw retained crowns, cement to abutment crowns and crowns with "vent" holes available. Vent holes are helpful during crown insertion for excess cement to escape and clean. All custom abutments come with manufacturers final screw. Torque wrench kits available for rent at Trachsel Dental. Please make request on Rx. Implant impression coping (open tray, closed tray), Implant analog, final screw? Call TDS and we can order what you will need!